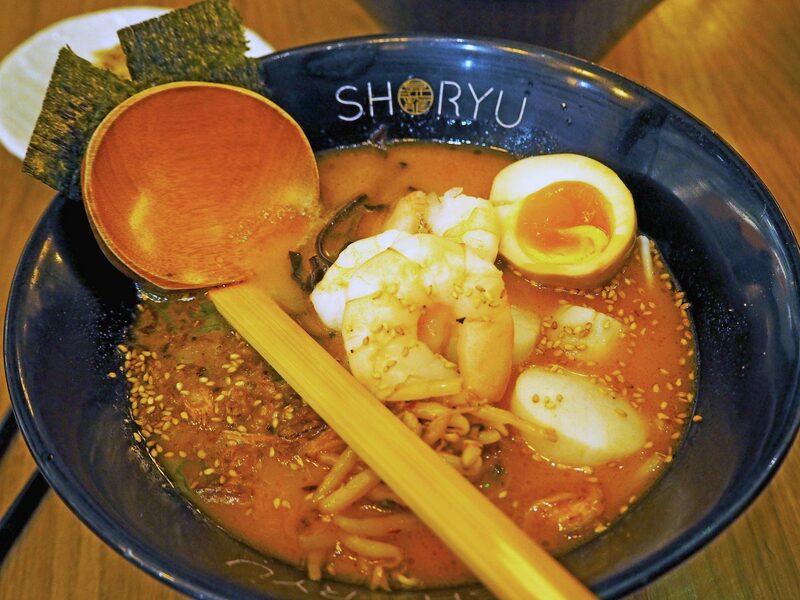 Shoryu Ramen has been on my list of places to visit for a while, so when I was invited down to their Piccadilly Gardens restaurant, I was already looking forward to a delicious bowl of their infamous ramen. 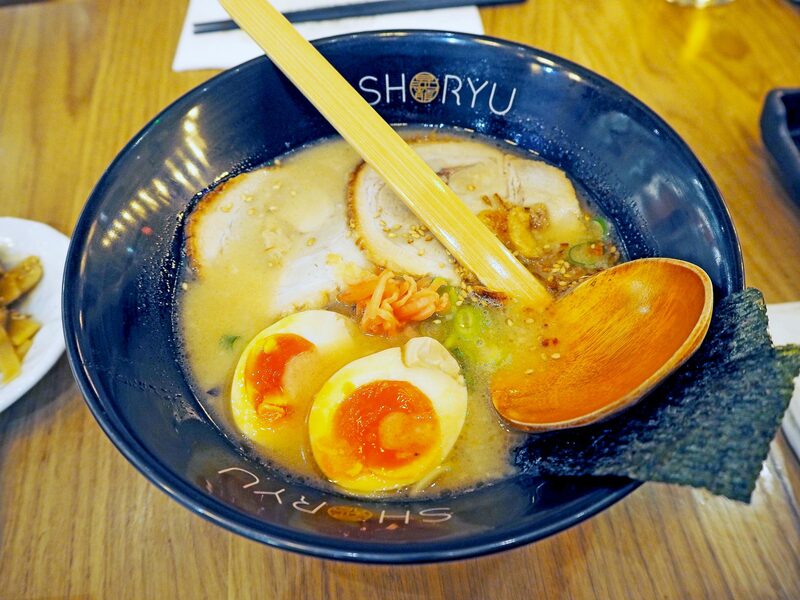 Shoryu Ramen launched in London in 2012, and has been recommended in the Michelin Guide 2014, 2015, 2016 and 2017. 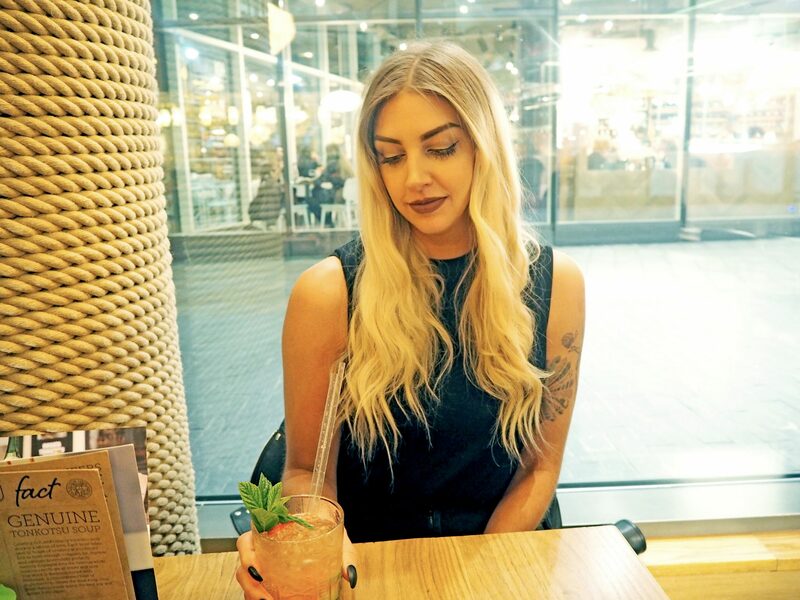 Launching last year in Manchester, the popular restaurant serves up their ever popular ramen bowls, as well as a range of other dishes including smaller plates and seasonal specials, with plenty of drink options including beers, cocktails and sake. We arrived on a Saturday evening, and although the restaurant was getting busier with post-shopping eaters and diners filling their bellies before a night on the town, the staff were lovely enough to come and talk to us about the incredible food served at Shoryu, and run us through the menu; pointing out the most popular dishes, and some of their seasonal specials. 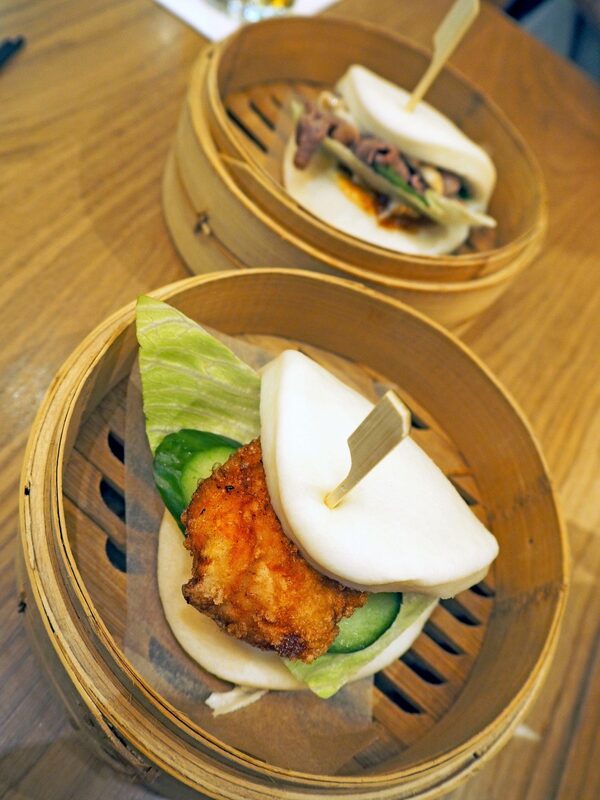 We just had to try some of the starters whilst we waited for our ramen, so we went for one of my all time faves – Soft Shell Crab, and a couple of the Shoryu Buns – one with a Wagyu Beef filling, and one with Chicken Karaage. 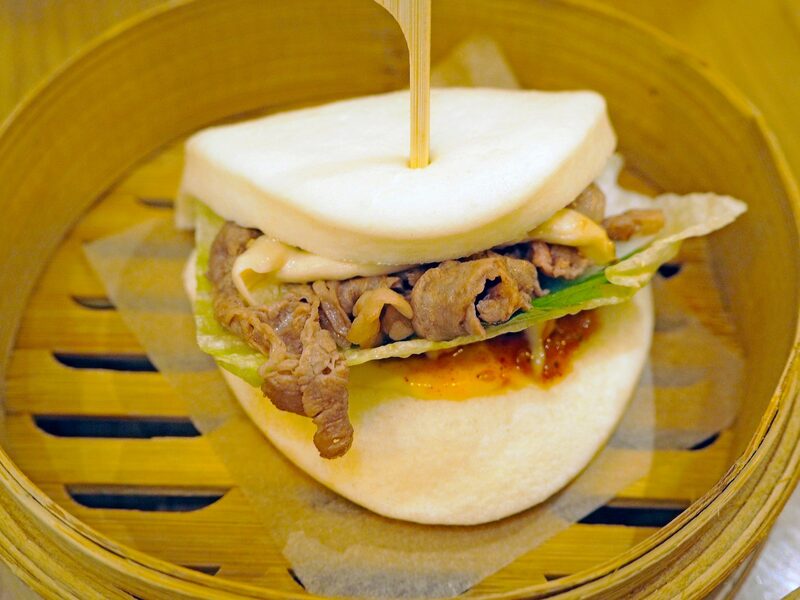 The buns were delicious; the perfect combination of super soft dough encasing delicious tender meat and crunchy salad. 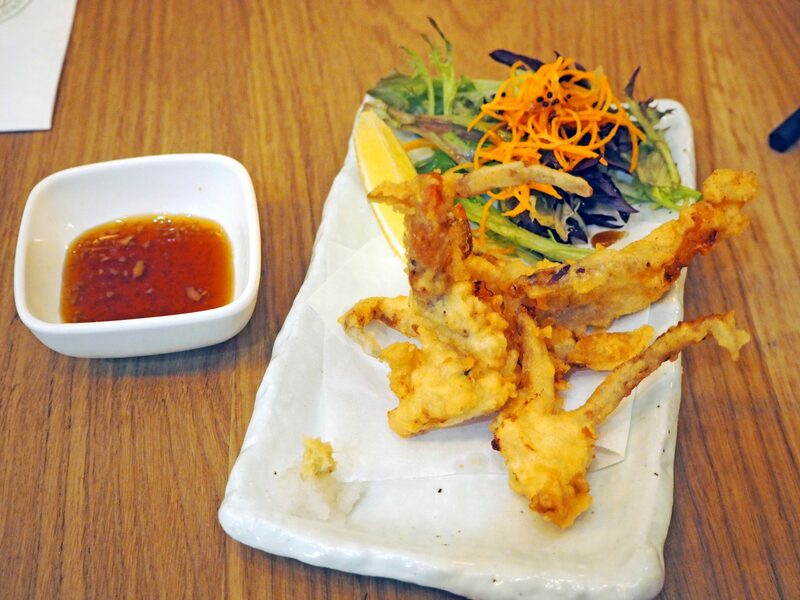 Again, the Soft Shell Crab was equally as tasty, served hoping hot, with a crispy outer and soft flavoursome meat on the inside, with a sweet and tangy dipping sauce to compliment. 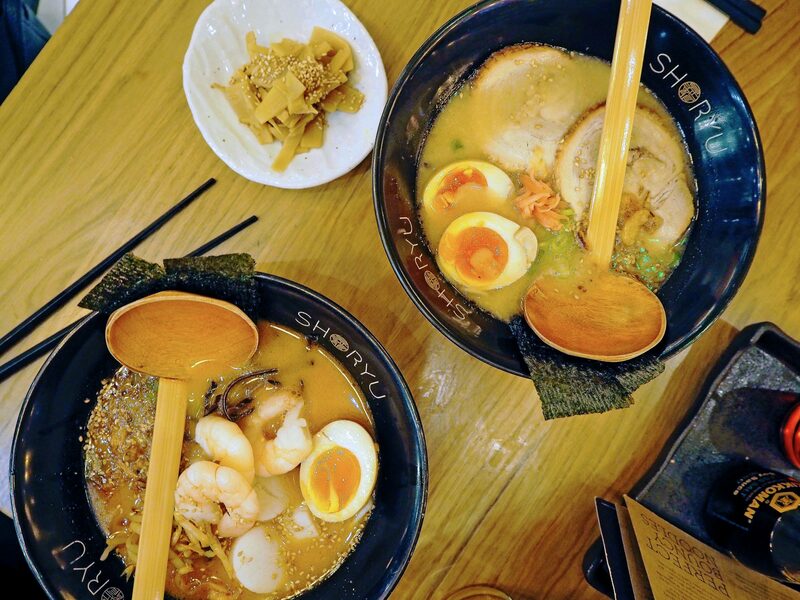 Shoryu specialise in Hakata tonkotsu ramen, which is made with a rich 12-hour pork broth ramen, and comes topped with char siu barbecue pork belly, nitamago egg, kikurage mushrooms, spring onion, sesame, ginger, nori seaweed. We obviously had to try one of these, so Jay went for the Kotteri Hakata Tonkotsu – their signature but bigger, bolder and better! 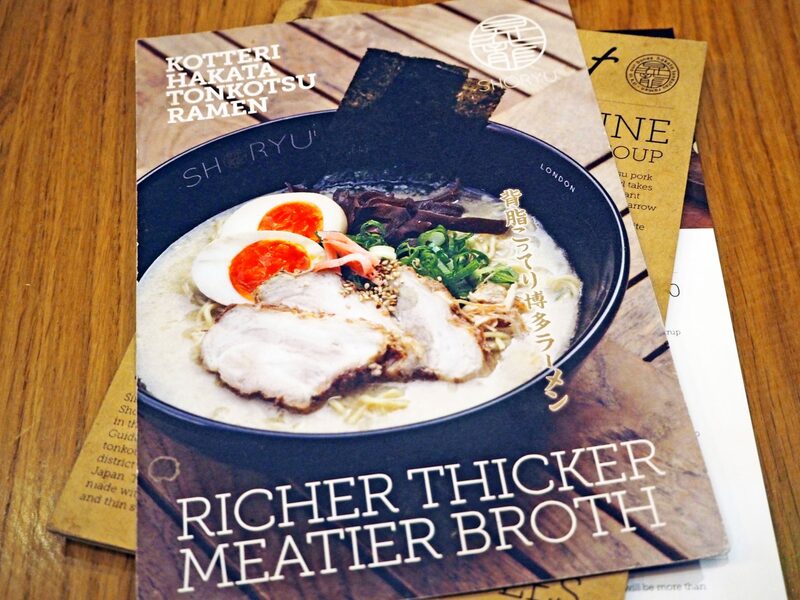 this version comes with a richer, thicker, meatier tonkotsu broth, and double nitamago egg. For my main I had the Kimchi Seafood Tonkotsu. When dining out I always tend to go for seafood so this was right up my street; fiery kimchi broth, prawns, scallops, squid, nitamago egg, kikurage mushrooms, nori seaweed, spring onion, seasoned beansprouts, sesame, and fried shallots. 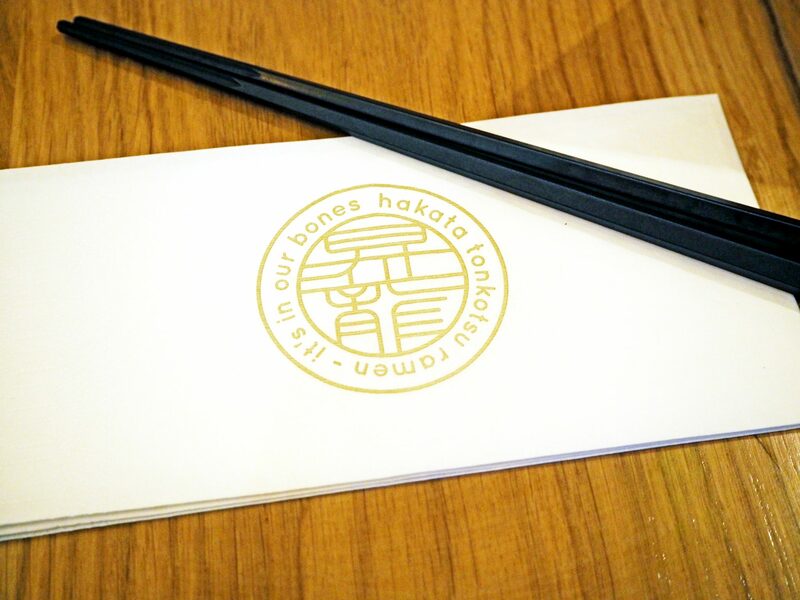 This was absolutely delicious – the broth was a little lighter than the Hakata ramen, with a lovely kick of heat, and packed with deliciously fresh seafood, veggies and plenty of noodles. No matter how much our waiter tried to convince us to try the desserts, and even after looking at the amazing offerings on the sweet menu, it was simply impossible to fit any more food in after our gigantic bowls of goodness. To combat this terrible predicament, we opted for some cocktails as a liquid dessert instead. Jay chose an Autumn special – the Whisky & Kohi, which is creamy mix of nikka red whisky, soy milk and espresso coffee, all hard shaken with a touch of orgeat syrup. 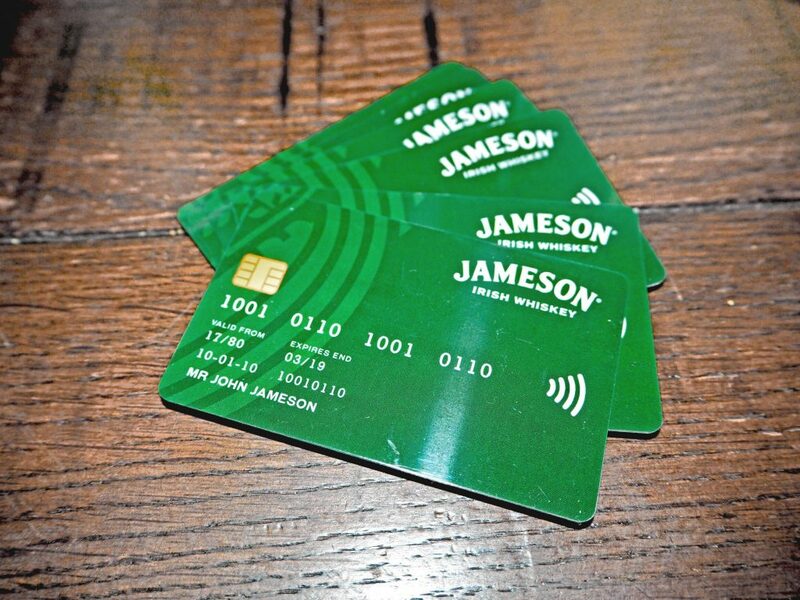 This is the perfect post-dinner cocktail; short, sweet and packing a punch of coffee and whiskey to get you out of that food coma. 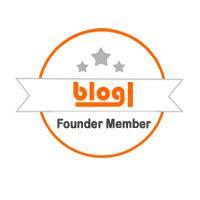 I had the Yuzu Mojito – a combination of white rum, fresh strawberries, mint, lime and yuzu umeshu. 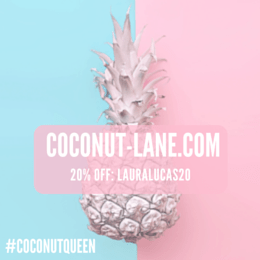 Equally as delicious but very different, this one is definitely for those who prefer a fruitier, refreshing and longer drink. 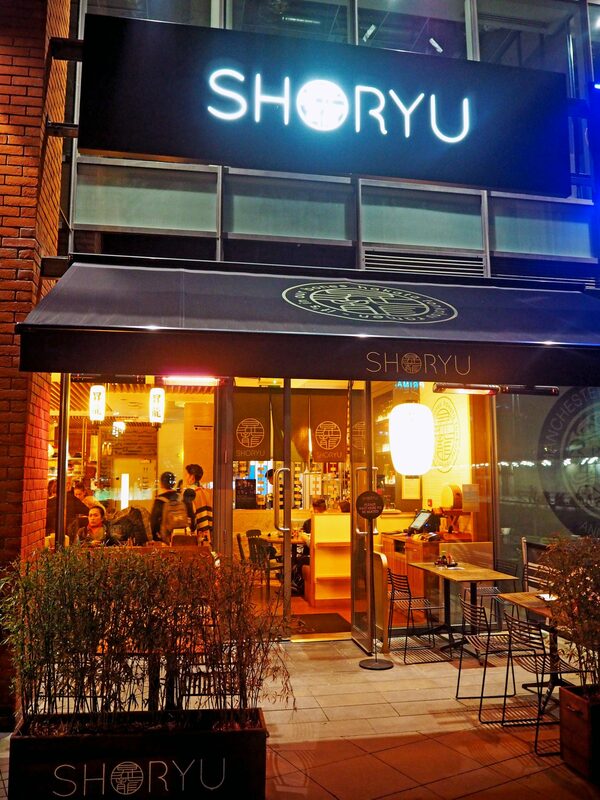 We absolutely loved our visit to Shoryu; the whole experience was amazing from start to finish, the staff were all so helpful and welcoming, the food was incredible and we left feeling very full and very happy indeed. I would definitely recommend this to anyone looking for a new restaurant to try in Manchester, and we are already planning our next visit. 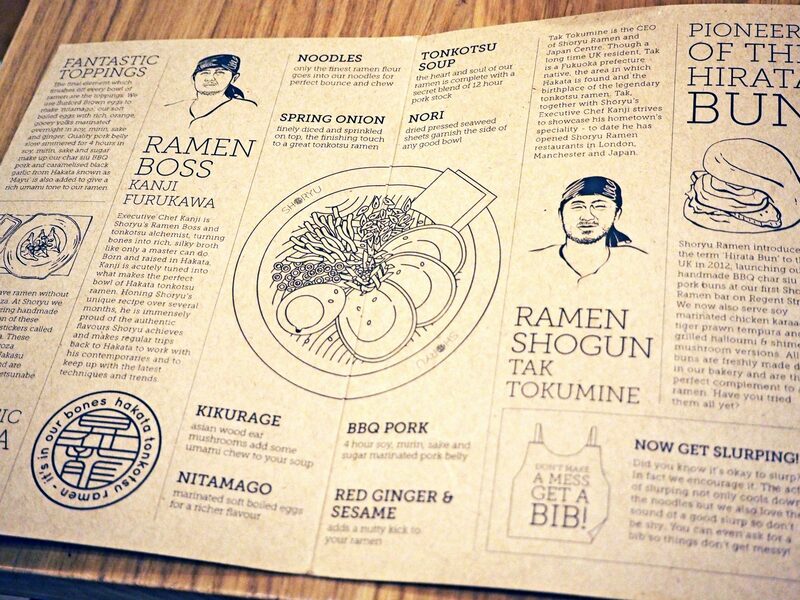 There is something on the menu for all tastes, so if you don’t fancy the traditional ramen bowl, there are plenty of other options to choose from. 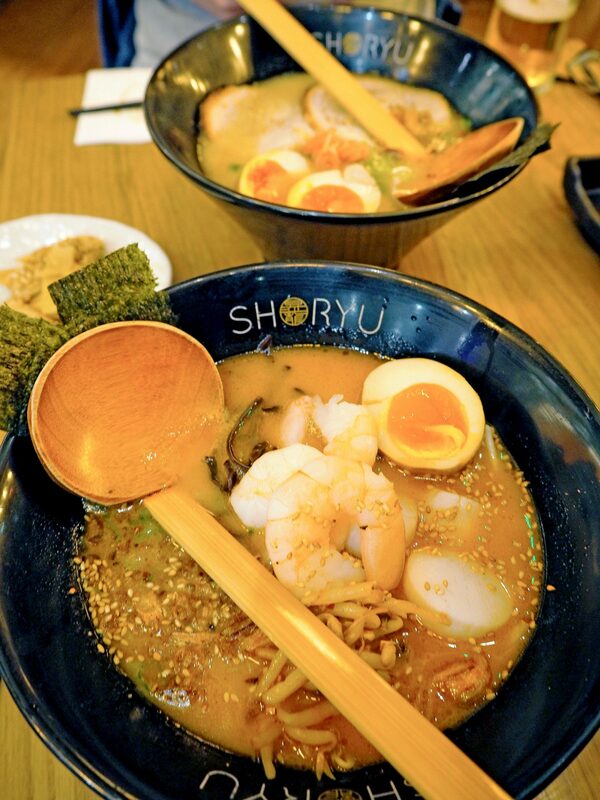 Head to the Shoryu Ramen website here for more info and your nearest restaurant. 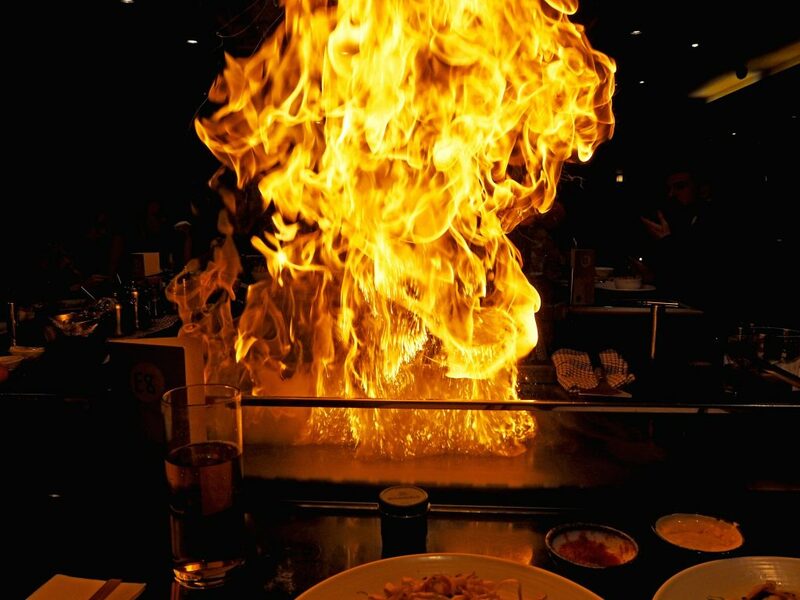 *Our visit to Shoryu was complimentary, but as every – all opinions are my own.